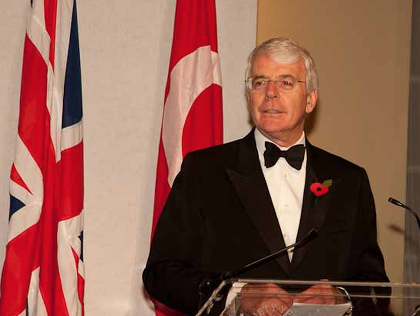 Former British Prime Minister Sir John Major has waded into Scottish independence debate with a big “I told you so”. The former Conservative PM says that he has been vindicated in his opposition to the Labour Party’s proposals to give Scotland its own parliament back in the late 1990s, saying that he warned at the time it would hasten the break-up of the UK. Whether Sir John’s opinion piece in today’s Times is well received north of the border, remains to be seen. More than 20 years ago, I opposed devolution. I did so not because I thought Scotland could not govern itself. Plainly it can. I did so because I believed devolution would be a high road to separation. So it has proved. The vote next week is about far more than the future of Scotland. It is about the future of every part of the United Kingdom. The previous Labour government left a deadly legacy when it passed a Devolution Act that was spectacularly one-sided. It offered Scotland all it asked for and — apart from a small reduction in Scottish MPs — ignored the impact on the rest of the UK. It would be ironic indeed if Scotland voted for separation, and Labour lost all its significant representation in the Commons. If this comes to pass, no one should weep for them. I welcome the present cross-party consensus to save the Union, but we should not forget that, throughout the 1980s and 1990s, Labour connived with nationalist opinion in demonising the Conservatives and, by implication, the English. They are doing it still, and have fed a divisive narrative that has bitten deep, ignoring the revolution in Scottish living standards brought about, in large part, by Conservative policies. One example suffices: a hundred years ago, the English were far better paid than their Scottish counterparts. Today, they are not: a position achieved largely under Conservative governments sustained by a large majority of English MPs. Nonetheless, despite all provocations, the Conservative party remains unionist and passionately in favour of keeping Scotland in the UK. The Scottish nationalists and Labour may taunt daily that the Conservatives have only one MP in Scotland, yet we continue to campaign for the Union. This is an act of conviction, not of self-interest. Surely that gives us the right to be heard with respect, instead of daily sneers and derision from the SNP?